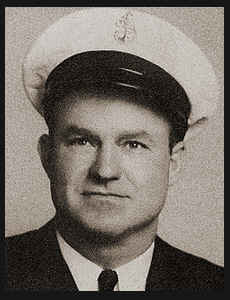 CCM Glenn Price Ward, son fo W. D. Ward, graduated from Okla. A & M College; husband of the former Betty Joyce Longwell. Entered Seabees in April, 1942, trained in Norfold, Va., and Camp Parks, Cal. ; served in the Midways, Hawaii and the Philippines. Awarded Am. Theatre Ribbon, Asiatic Pacific Ribbon, Philippine Lib. Ribbon, Bronze Star, Good Conduct Medal.